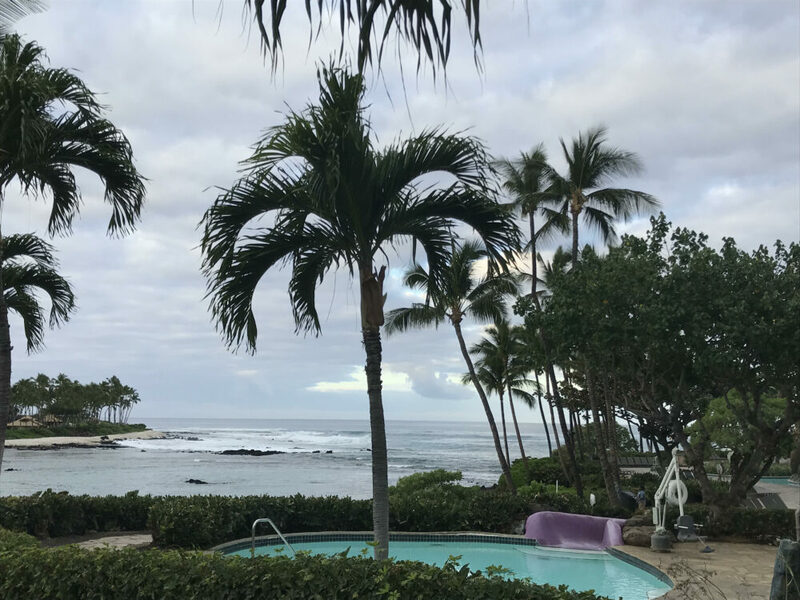 The January Interim course "Hawaii, Beyond Tourism" began with the typical tourist experience at a beachfront resort before students learn about day-to-day life on the islands. As I write this, it’s still hard to believe that I’m actually in Hawai’i. Today, I am surrounded by lively green palm trees, the rolling crash of the Pacific ocean, and the feel of warm sunshine on my skin. Everything about this island is exactly like the paradise I had pictured in my head. It feels so rewarding to finally be here after a week of intense classwork, followed by a long day of travel. 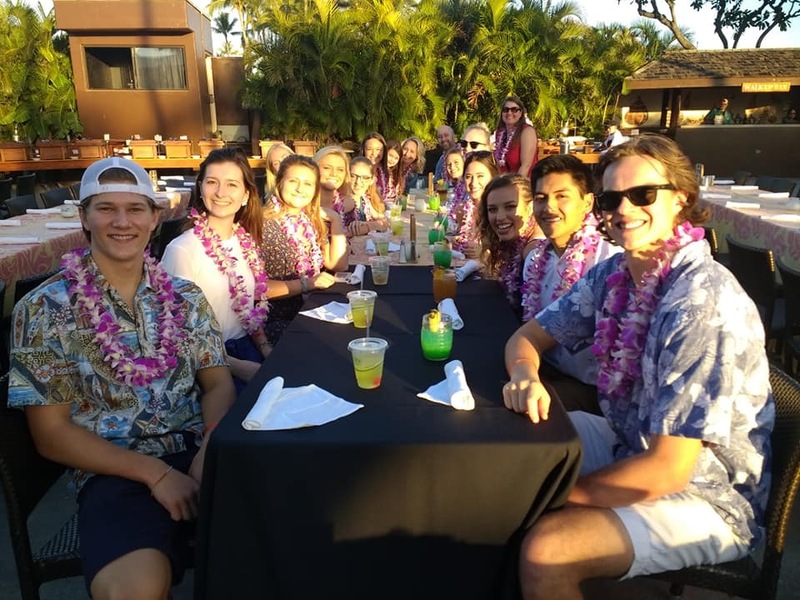 Students experience a luau during the “tourist” part of their Hawai’i trip. For those of you who aren’t familiar, the trip I am on is part of a January Interim class called Hawai’i, Beyond Tourism, taught by Gustavus political science professor Kate Knutson. The idea behind the class is for students to dive deep into Hawai’i’s history, culture, and everyday life. We spent a week on campus learning about Hawai’i’s history, starting with its very first settlers. We also learned a little bit of the Hawaiian language and talked about the effects of tourism on the people who live on the islands. Then, after the week was over, it was time to head out and see firsthand what we’d been talking about. We had long flights from Minneapolis to Seattle, then from Seattle to Kona, Hawai’i and arrived extremely tired and hungry on Monday night. But Tuesday, we woke up bright-eyed and ready to experience the island. Our first two days here will be spent at a resort, experiencing tourism for ourselves. We got to attend a luau, swim at the resort, and visit a white sand beach. After this, we will dive even deeper, finding out more about how Hawaiian’s really live, outside the picture-perfect resort scene.